Gary Piscopo, ND, LAc is a founding member of the Alpine Valley Wellness Center. He is a passionate advocate of personalized education as a primary force for improving patient outcomes and for transforming individual, family, and community health. Dr. Piscopo is a graduate of Bastyr University in Kenmore, WA. In addition to completing a four-year doctorate degree in naturopathic medicine and a three-year master’s degree in East Asian Medicine (which includes acupuncture), he also completed an externship in family counseling with Valley Counseling Associates in Renton, WA. Dr. Piscopo is an active member of Washington Association of Naturopathic Physicians (WANP) as well as the Washington East Asian Medicine Association (WEAMA). Along with his wife, Dr. Jacqueline Thomas, he also supports the American Association of Naturopathic Physicians (AANP), the national organization that forwards the political and medical agendas of the naturopathic profession. Originally from New England, Dr. Piscopo became interested in natural medicine while involved in medical research during his service in the US military. He completed his pre-medical studies at the University of California, San Diego and graduated with a degree in psychology. His previous work in the medical field includes twelve years in psychiatric medicine, spanning child, adolescent, and adult inpatient services, at Charter Hospital, Harborview Medical Center San Diego, and Stevens Memorial Hospital. Through his personal experiences and travels to other countries, Dr. Piscopo has witnessed first-hand the positive impact of education on people’s lives. It was these experiences that became the foundation of his vision for education as an essential pathway to optimal health. 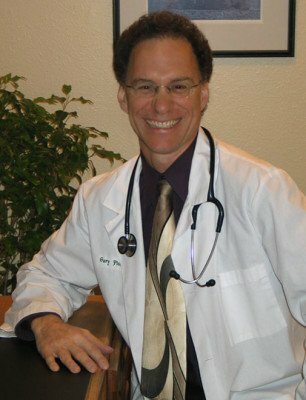 As co-founder and CEO of Wild Brilliance Press, a publishing house that specializes in medical textbooks oriented toward natural and integrative medicine, Dr. Piscopo draws upon almost thirty years of experience in the medical field to fuel his collaboration with other thought leaders in the area of integrative medical education. Dr. Piscopo has written several articles on both naturopathic and Chinese medicine and is the author of In Defense of Natural Therapeutics. He previously worked as a consultant to Thomson Micromedex, a provider of evidence-based clinical knowledge solutions for doctors, nurses, pharmacists, and other medical professionals. Together with Dr. Thomas, Dr. Piscopo founded the Alpine Valley Natural Health Clinic in 1996. The clinic later became the Alpine Valley Wellness Center in 2007. Building on principles of education, effectiveness, and ecology (as outlined in our Mission Statement), Dr. Piscopo integrates interventions from conventional, naturopathic, and Chinese medicine together with psycho-emotional methodologies such as EFT, breathwork, systems family therapy, mindfulness approaches, and cognitive therapy in assisting his patients. He is available for patient consultations and is currently accepting new patients.